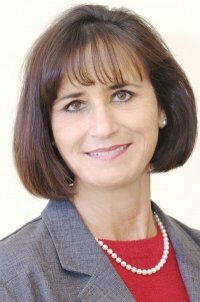 Frieda Lencioni, Realtor for Century 21 M & M Real Estate Modesto, says, “The most important thing for a Buyer to consider before moving forward on a Short Sale is to make sure that your Buyers Agent is (very)experienced in this type of transaction”. Short Sales for Buyers can be very challenging to say the least, if not frustrating. As a buyer in this type of transaction, your Realtor should prepare you ahead of time letting you know of the many potential problems and/or hurdles you may have to overcome. As the Buyer, you will be better prepared to survive this type of transaction. It is important to interview potential agents prior to retaining their services as a Buyers Agent, and know that you will be working with this person 60-180 days…sometimes longer. Your agent should know and understand the Short Sale market. In fact, it is also a good idea to interview your Lender and make sure that they are knowledgeable in the Short Sale process. Susan Santucci, Realtor for Century 21 M & M Real Estate in the Oakdale office, provided the following list of Do’s and Don’t for the Buyer in a Short Sale transaction. 1. Be prepared to have more than one offer out at a time. 2. Be prepared to wait up to 6 months especially if you are working with a large institution. 3. Be prepared to pay for the home inspection. 4. Be prepared to pay for your own Home Warranty. 5. Make sure that your Buyers Agent is calling the Listing Agent at least once a week regarding your offer(s). NOTE: Some Banks will not pay Closing costs or Escrow Fees and they throw this little wrench in right before the home is ready to close. In a Short Sale the sellers usually does not have the extra money, so if YOU as the buyer really want this home, you may have to come up with some extra cash right at the end. However in most cases you can buy a great deal on a short sales sometimes for as much as 50% to 60% off . 1. Do not fall in love with the first home you see. 2. Do not buy anything new during the time you are looking for a house. This will change your credit history. 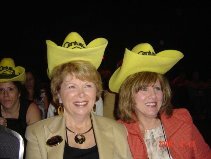 Sally Frampton & Brenda Pintabona - Two Award winning realtors that enjoy what they do! 3. Do not use your charge cards for any large purchases; if in doubt ask your Agent or your Lender? 4. Do not change jobs unless you talk with you talk to your Agent or Lender. 5. Do not lose patience with your Realtor if he/she is doing their job. Remember that buying a Short Sale can be a tedious process, and there may be many starts and stops during the process of closing the sale. Freida & Susan are right on. A knowledgeable and experienced listing agent is also crucial. But hope maybe on the horizon. The nations largest lender/servicer has implemented a web-based short sale process. This may very well reduce the time to a month or two. We are working our first one through the system, we are week into it and we have a negotiator and the appraisal has been done. I’ll check back in as we make progress. This is great info for buyers. Short sales can be a long process. In the beginning when short sales began many buyers thought because a property was advertized as a short sale that it meant it would close quickly but unfortunately its usually the opposite. Information like this helps many people understand the process better. Great article I found the information very helpful. For sellers: Do watch or read “Freakonomics” and realize that your agent may not always be looking out for your best interest. In the book, they detail that agents selling their own homes keep them on the market longer and sell them for more. When it comes to selling someone else’s house, they’ll try to push the sale as fast as possible because keeping the house on the market longer for a higher price may not be a large enough financial incentive. For the Buyer S H O R T (So Highly Obnoxious Real-estate Trick) sale is the world’s biggest black whole with a complete lack of transparency for the buyer. As the buyer you will know very little on the status of the home you are trying to purchase and can only hope that your agent will keep you honestly informed. Your agent is subject to what information is provided to them buy the sellers agent, if any at all. My First piece of advice for anyone considering a short sale purchase would be to require you agent to BCC (blind carbon copy) you on every email he sends to the seller’s agent. If they are not willing to do this then tell them they are not the agent for you. At least this way you will have some method of knowing that some conversations are taking place on your behalf. If you do this in advance, you eliminate any question of trust that may come up later. Second piece of advice is to ask your agent to put his conversation in writing to you, rather than call you with the news. I will give you an example of what I have faced; A call that indicated “we have verbal approval on the bank approval the purchase price and we should open escrow on Monday”. So as a result of this call we finally believe that we are making progress. The third time our agent has called as with “good news” only to be disappointed. The Monday came and went, no escrow, then Wednesday, “need seller to sign some additional papers”….and again we wait. So three times we have had this type of call, only to be followed with big let-downs in the way of follow-up emails. If all the “good-news” calls would have been in writing, I would be throwing them back in the face of my agent right now instead of leaving a comment on this website. I realize that my agent and the seller’s agent will get absolutely nothing in the way of commission, if this transaction is never completed. I also realize that the a big part of the S H O R T sale mystery is in the hands of the bank/investor of the property loan, but I have read about the Equator system used by some banks and wouldn’t it be brilliant to get the buyer access to the information side of this system. Some type of system to check the status of your purchase once you have signed a contract and it has gone to the bank negotiator black hole.